Earlier this month, we brought you (what we thought were) all the updates for the 2015 Chevy Volt. It turns out, however, that Chevy was holding out on us, until now. One final change to the all-new Volt includes a battery upgrade. Specifically, the 2015 Chevy Volt battery will grow from a 16.5-kWh unit to a 17.1-kWh unit. This isn’t the first time that the Volt’s battery has been updated while in its first and current generation. Although the Volt debuted with a 16.0-kWh battery pack in 2010, GM changed it up for the 2013 model year, giving it the 16.5-kWh unit. This boosted range from 35 miles electric (94 MPGe) to 38 miles electric (98 MPGe). 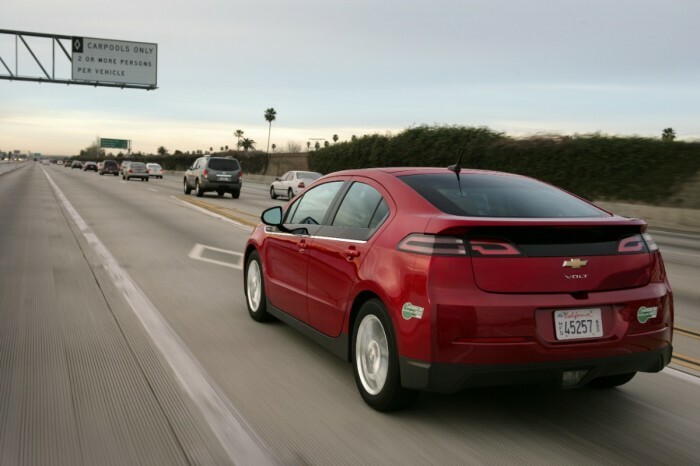 It’s not clear if the 2015 Chevy Volt battery will merit the EV an updated EPA rating. The 2015 Volt has not yet been recertified with the EPA, and it hasn’t been made known if that is in the works. EPA rating or not, however, we should expect to see better range numbers from the new model. While the increase might not be dramatic, Volt drivers may be able to break the 40 electric mile marker with the 2015 model.